In every city across the world lives abundantly a pride, and hubris, about its own unimpeachable glory, an urban mythology, with its several claims of greatness, of things seeped in history and culture sui generis, of venerated exploits of its past; and an enduring collective achievement so vast and obvious, that the only rightful response to it from across the globe must be one of wanting to eagerly stand up to acknowledge and salute it. And imagine the surprise when it works to the contrary. You can be perplexed, hurt, angry and upset. Such was me last week, lost in Dhaka as perhaps the cityai??i? ?s sole voice at the amazing cityai??i? ?s literary festival. Besides the delight of being lined up alongside some of the greatest writers, editors, critics, thinkers and journalists, I also met up with the craziest, most unthinkable and blasphemous charge ai??i?? 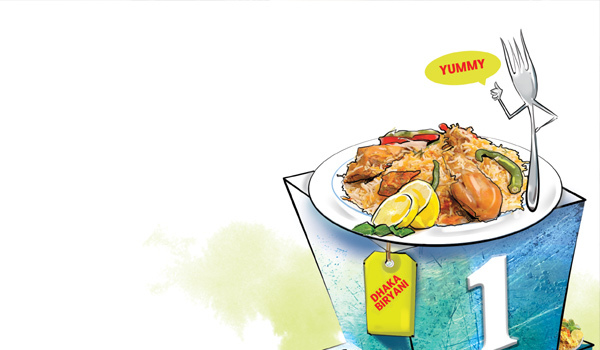 that maybe Hyderabadi Dum Ki Biryani is the not all that great and is highly overrated. As if this unendurable crime was not enough, it came accompanied with a heresyai??i?? when everyone in Dhaka resorted to saying that kachi biryani is the best in the world. My shock was layered. We had, at the fest, debated and discussed some of the great themes troubling the world ai??i?? if Brexit had killed Britain as we knew it, if Trump would subvert all pillars of the great American democracy, if in Hillaryai??i? ?s defeat was the silver lining of a renewed thrust to feminism so strong it would soon reassert and sweep the globe, if media was safe in India, if demonetisation had a hope, if terrorism has a final end, and if pigs could fly and so on ai??i?? yet nothing shook the democratic spirit of respecting disagreement in me. One can welcome, and even respect, those who find flaws and argue counter to our every belief system; our politics set about religions and nations, about views on race and gender, about food and dress, about environment and man, about energy and climate, about freedom and censorship; tax and subsidy, law and outlaw. But you can be simultaneously shaken and stirred, and fried, and deep fried, and tossed, and thrown about when someone topples your deep cherished truism about an urban myth. We are too easily sophisticatedly cosmopolitan about our world and, yet, extremely prudishly rural about our metro identity. And damn, the Dhaka kachi biryani does not even come accompanied with salaan and raita. No way, one screams within silently. No way, no wayai??i??. TAILPIECE: I am now all for a worldwide competition on biryani between all cities that claim to have perfected it over centuries to match our culinary kohinoor. Let them send their best cook and ingredients and face ours. May the best win. Ours!